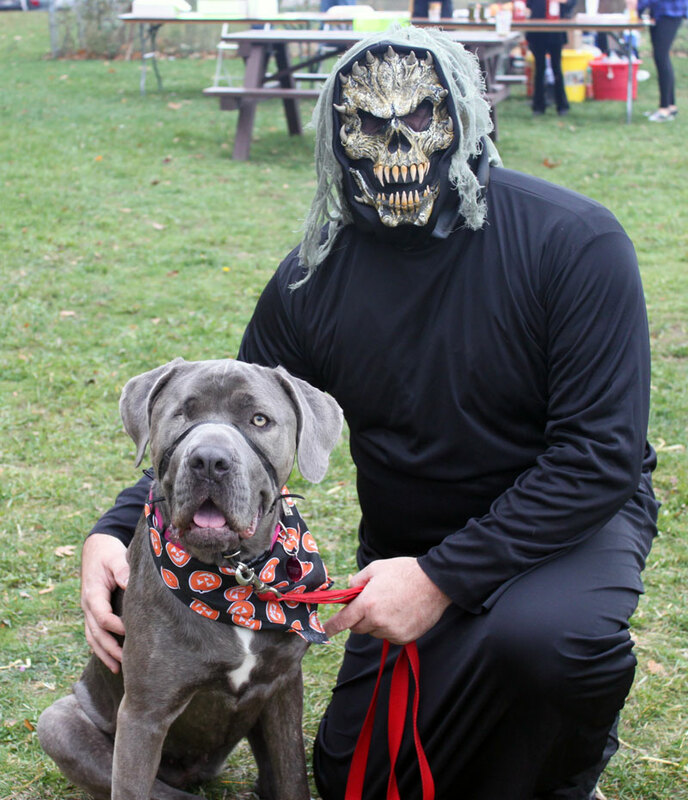 Paws up to everyone who attended the Mutts and Monsters Walk-A-Thon and Tails in Town BBQ at the Oakville Arena Park on Oct. 26. 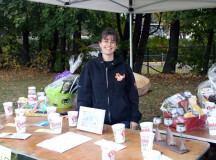 The events raised some $4,000 for The Dog Rescuers Inc. 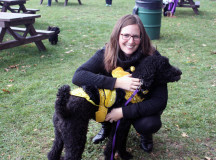 Participants took part in a 1k or 2.5k walk led by Oakville Mayor Rob Burton and his wife Wendy – along with their Portuguese water dog, Willow. 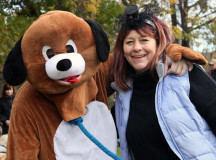 Throughout the walk participants had the chance to look for hidden monsters to win a prize at the end. 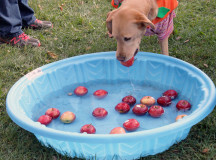 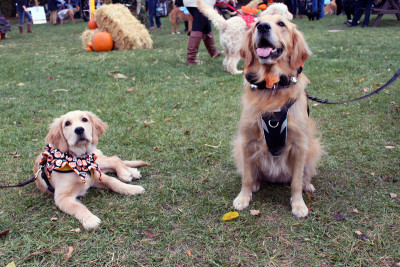 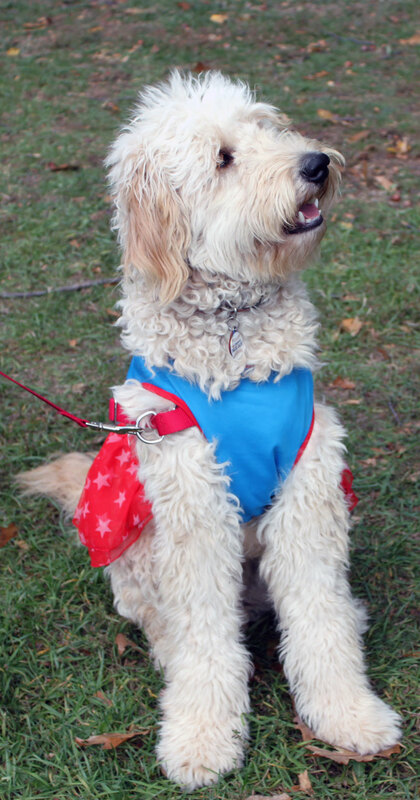 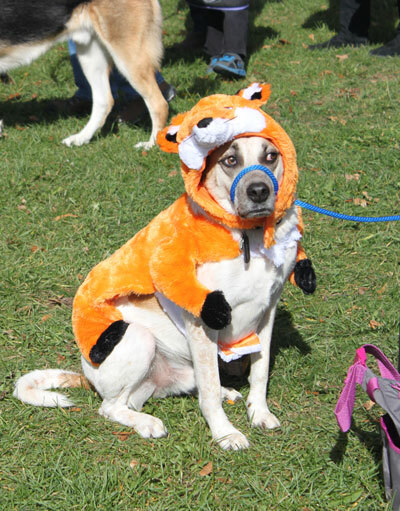 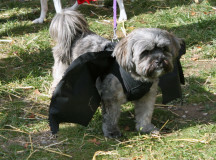 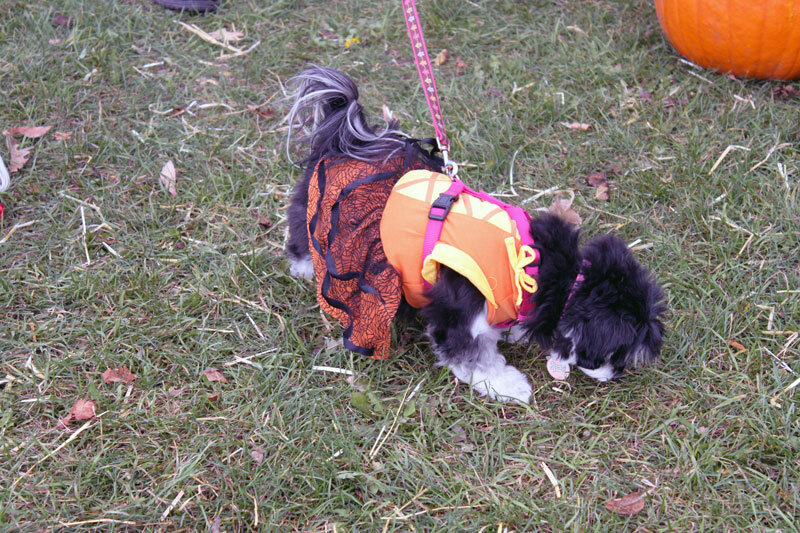 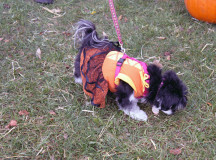 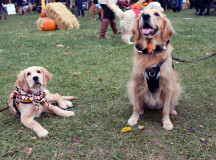 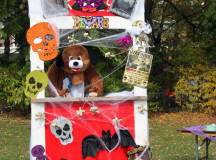 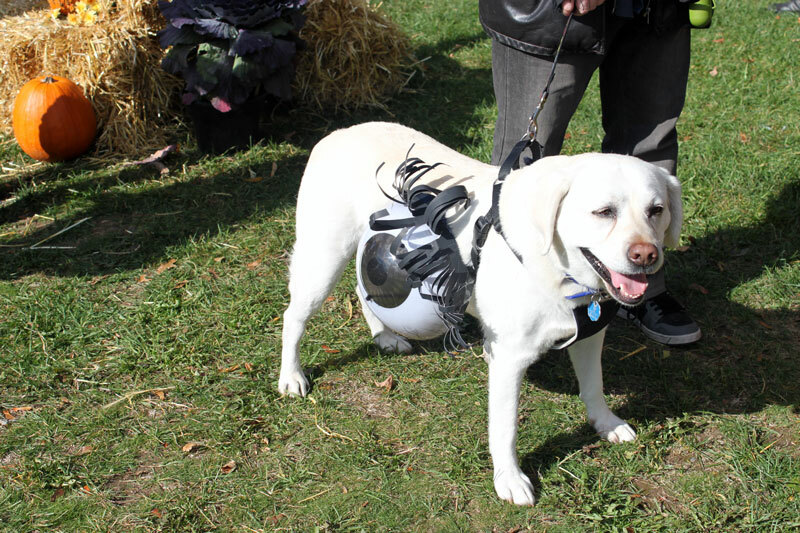 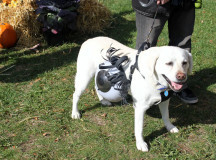 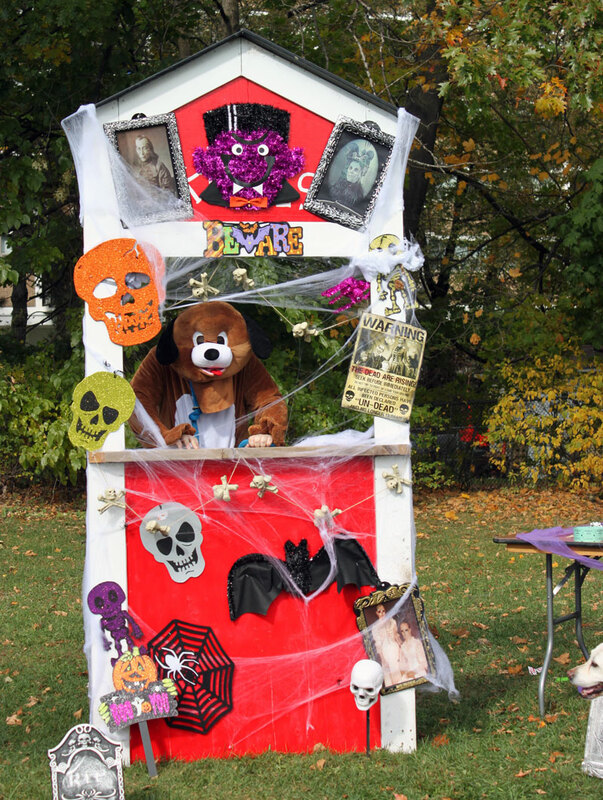 After the walk, participants shopped at booths and enjoyed a pumpkin sale and other activities – including a dog and human-friendly costume contest. 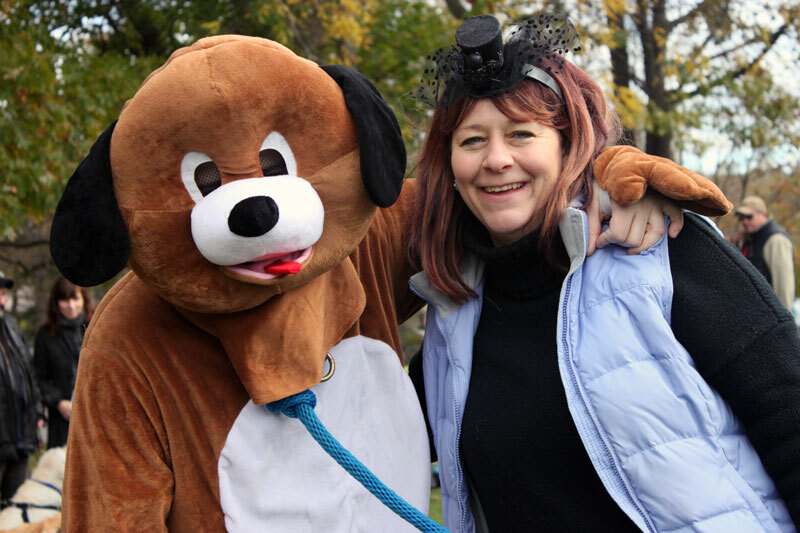 And it was all for a good cause – The Dog Rescuers Inc. gives a second chance to dogs that might not have had a great start. 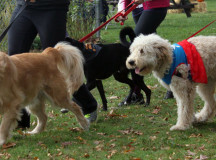 It allows the dog to get rehabilitated and integrate with other dogs and humans so they can potentially find a forever home. Vanessa Lupton, vice-president of The Dog Rescuers Inc. says working at a rescue is rewarding – and events like Mutts and Monsters really help to save animals. 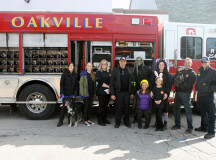 Oakville firefighters even made an appearance and joined everyone in the Tails in Town BBQ. 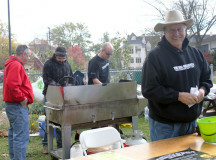 People flocked to see how fire trucks operate, and all firefighters were more than willing to demonstrate. 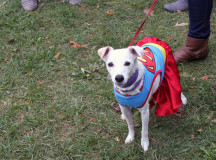 The Dog Rescuers Inc. is a non-profit that was founded in 2009 by Joan Znidarec. 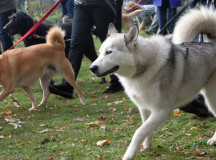 It relies solely on help from the community, adoption fees and volunteers for funding and care of the dogs. 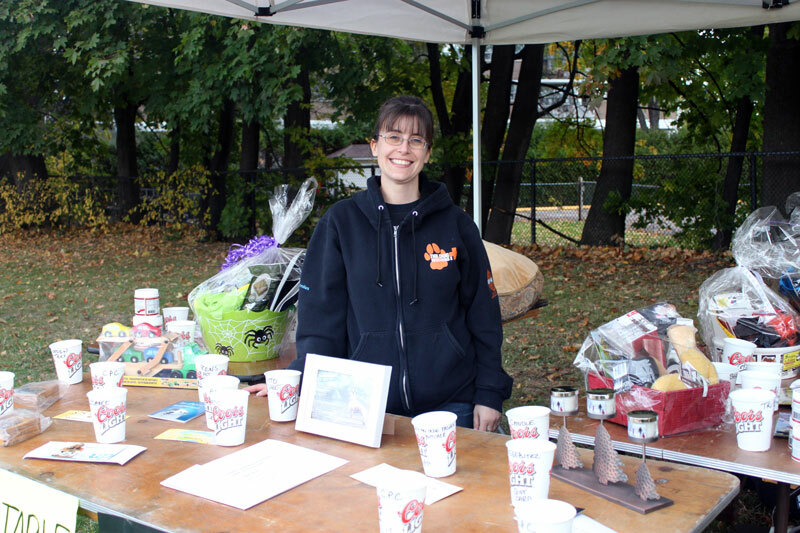 Amanda DaSilva-Prett, a four year volunteer with The Dog Rescuers Inc. helps set up the booths in preparation for the day's adventures. 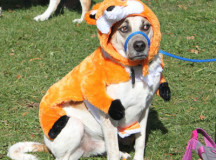 Dogs can be foxes too, even the unhappy ones. 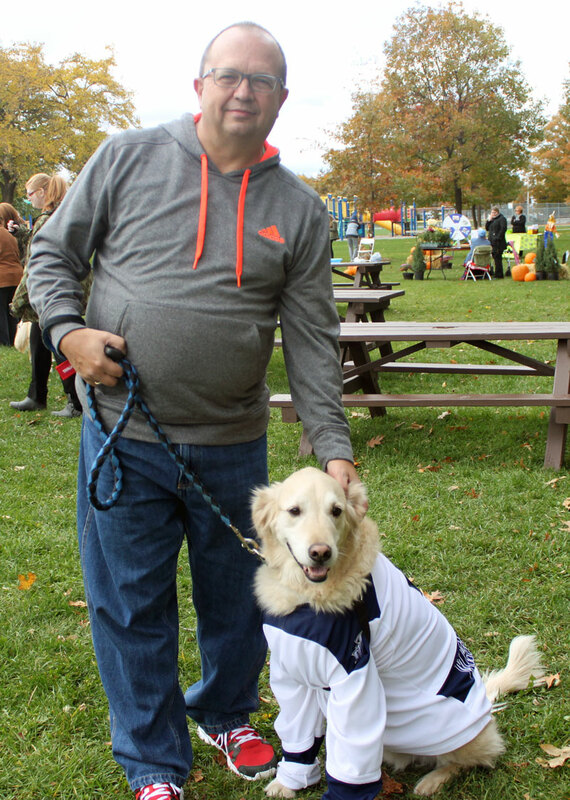 Oakville's Mayor Rob Burton with his wife Wendy and their dog WIllow are happy to be leading the 2.5k walk. 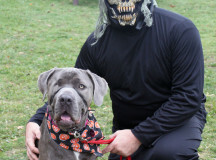 Rob Stevens and his dog Sophie are dressed in Halloween spirit. 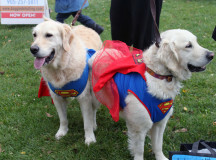 Superwoman can come in the smallest forms. 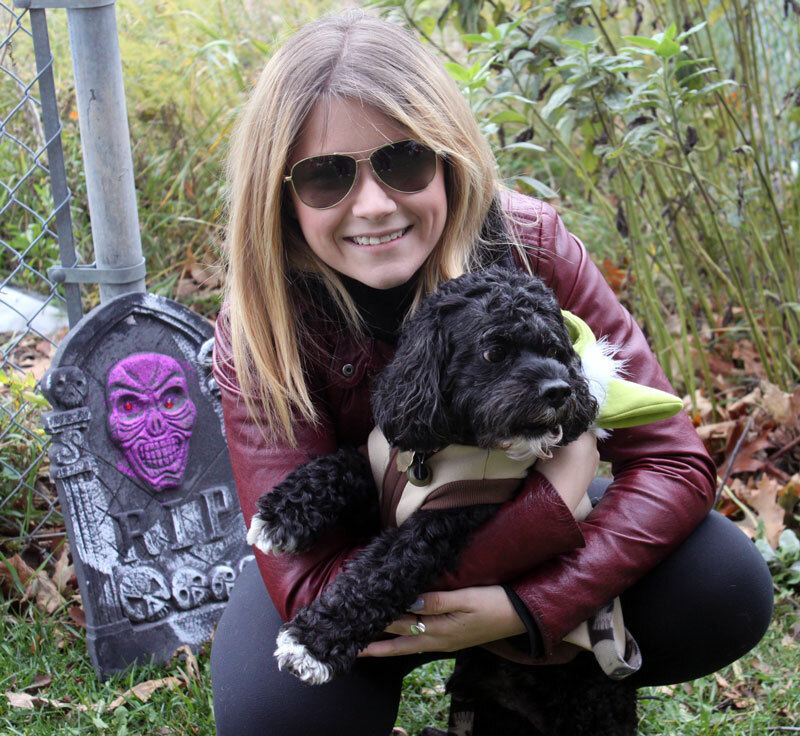 Lindsay and her dog Kiwi are ready to swarm the cookie table for doggie treats. 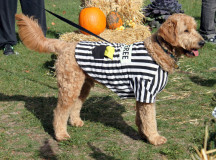 Matt the dog getting ready to hand out prizes. 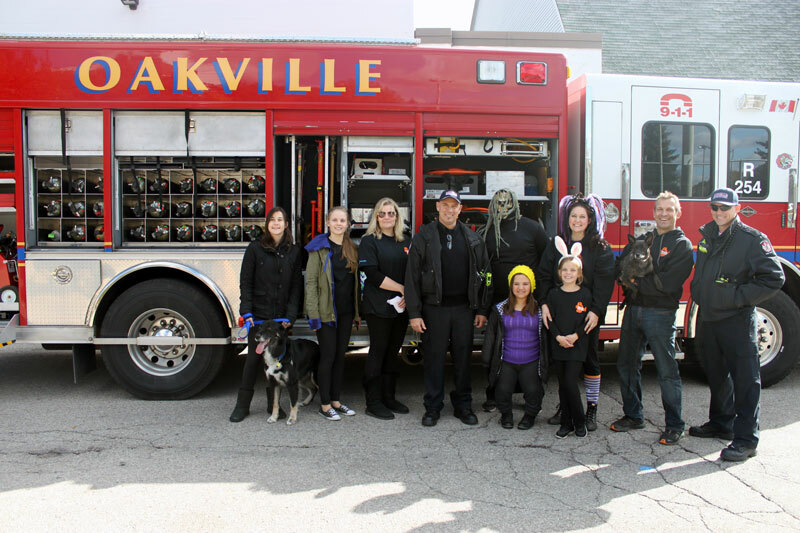 Oakville's firefighters stopped by to have fun with the cute pups. 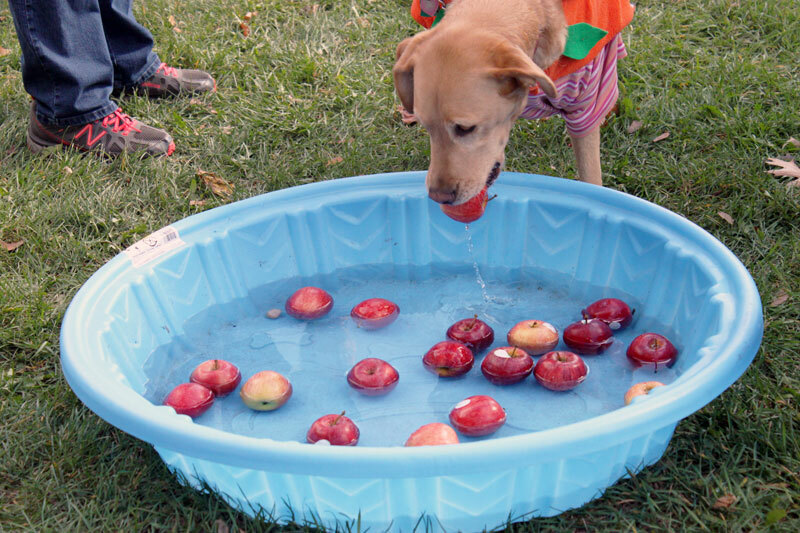 The furry and four-legged had an opportunity to bob for apples. This adorable pup is the perfect seeing eye dog. 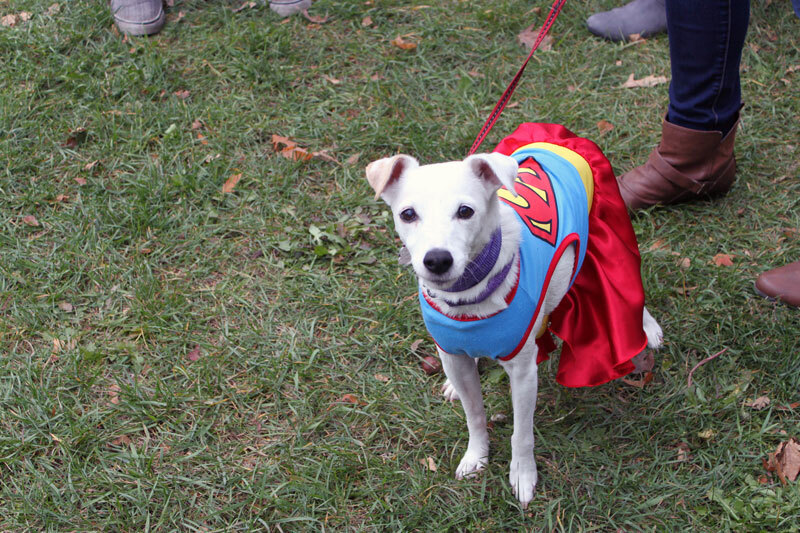 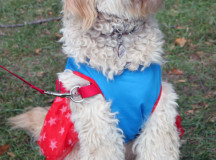 This Superwoman can't wait for her doggie treat. 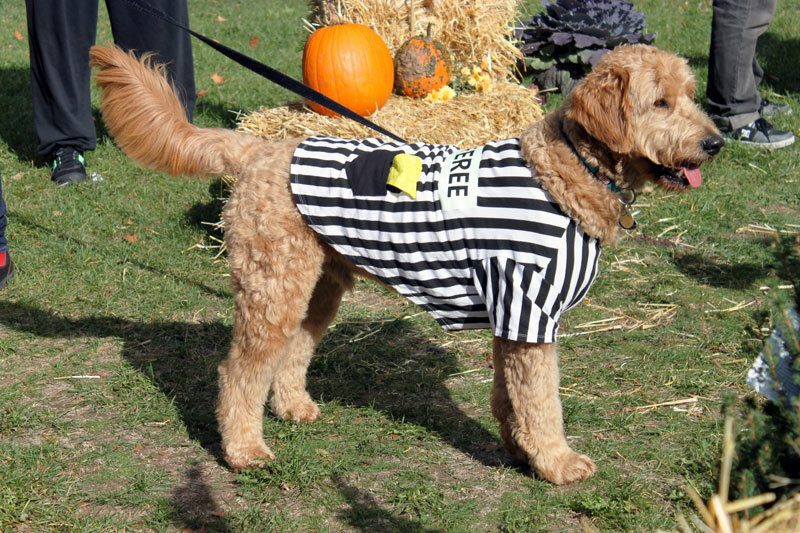 This referee spots a penalty a mile away. 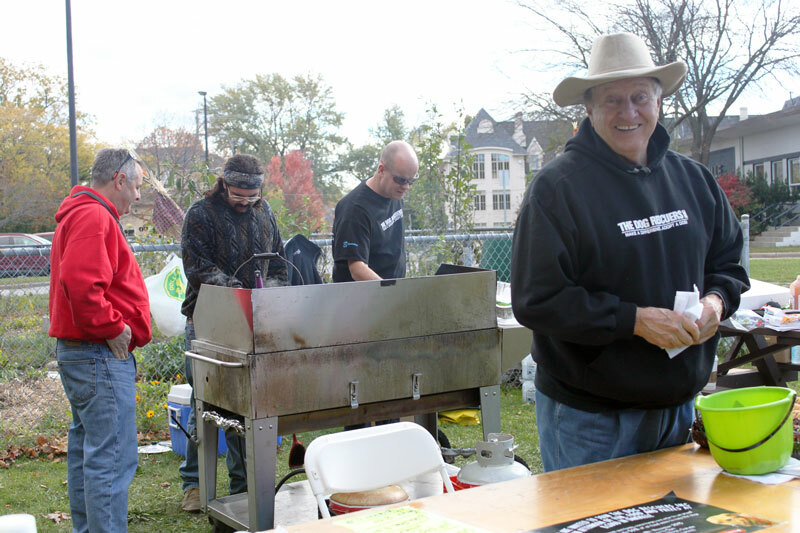 Martim Znidar helps out with the Tails in Town BBQ. 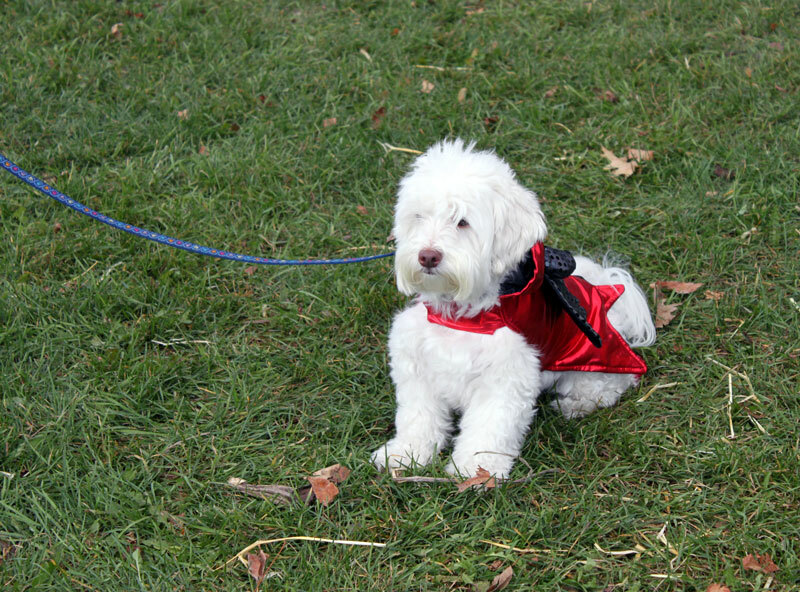 With you, this little Yoda can definitely believes the force is. 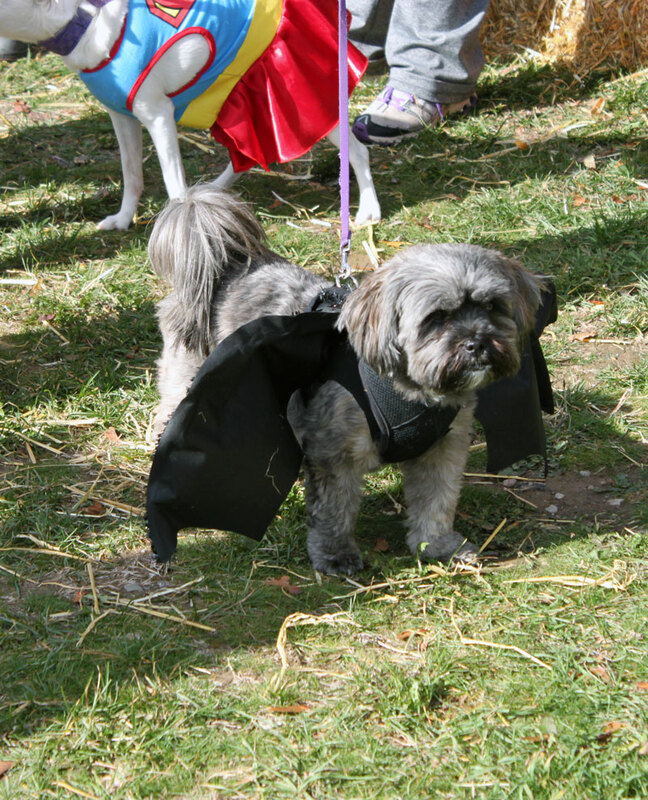 (Translation: This little Yoda definitely believes the force is with you. 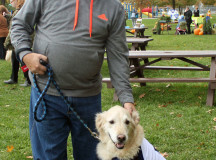 This Maple Leaf fan hangs out with his owner at the Mutts and Monsters event. Superman and Superwoman are always looking to bring fun to anyone's day. 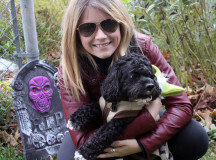 Added by nicolecalhau on November 10, 2015.